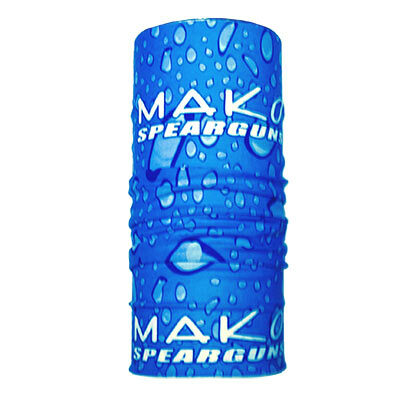 The MAKO Spearguns Tube Scarf provides sun protection while out on the water. 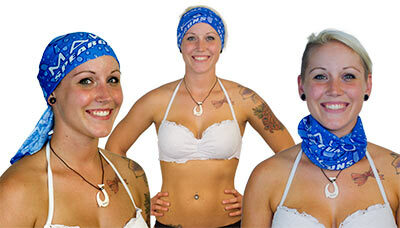 Can be used as a head band, do rag, neckerchief, hood, neck gator, scrunchie, head wrap, or hair tie. Simple cheap way to keep the sun off your face. Same good quality as the ones that cost 2-3 times as much. I thought this might make me hot and stuffy while out on the boat but the reverse is true. It keeps you cooler especially if you keep it damp. gives great UV protection and lessens the wind burn tremendously, looks good too. I'm stoked on the watery design.